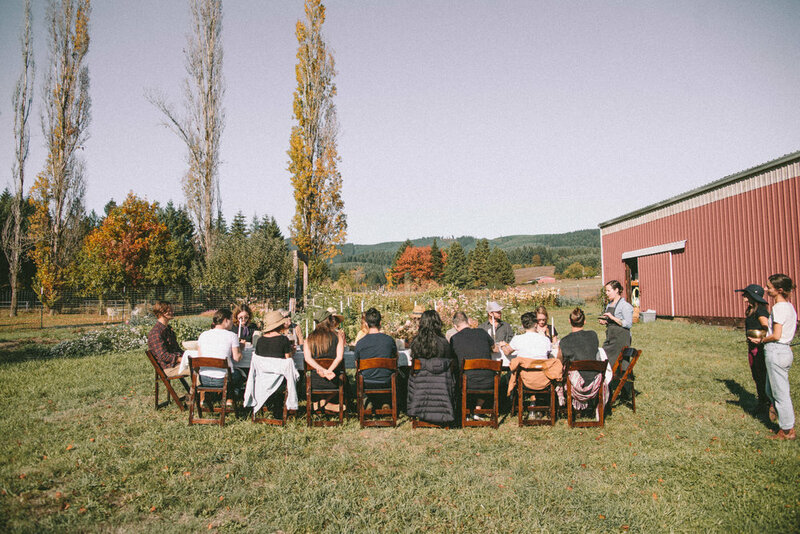 Come experience connection + nature in an inclusive group setting through our workshop series & upcoming events on the farm. 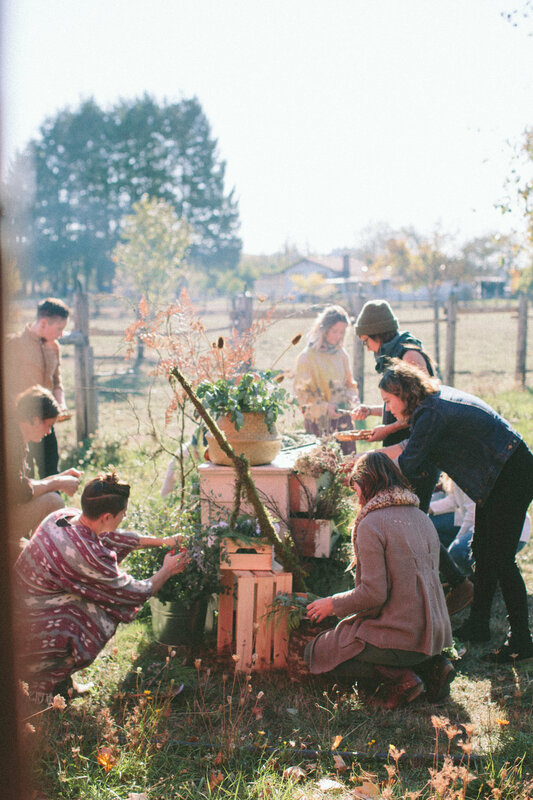 They invite back their Friends: Kit McDaniel (Movement + Embodiment Strategist ), Britanie Kessler (Acupuncturist + Chinese Medicine ), Brianna Sas ( Sound Healing, Elixir Field Wellness ), Briana Thorton ( Tea Tasting, Aesthete tea) and local plant based Chef, Sean Sigmon (Folklore PDX) – to create a seasonal experience that stimulates the mind and body, and brings you back to your center. A full, holistic weekend of connecting back to nature & to yourself. 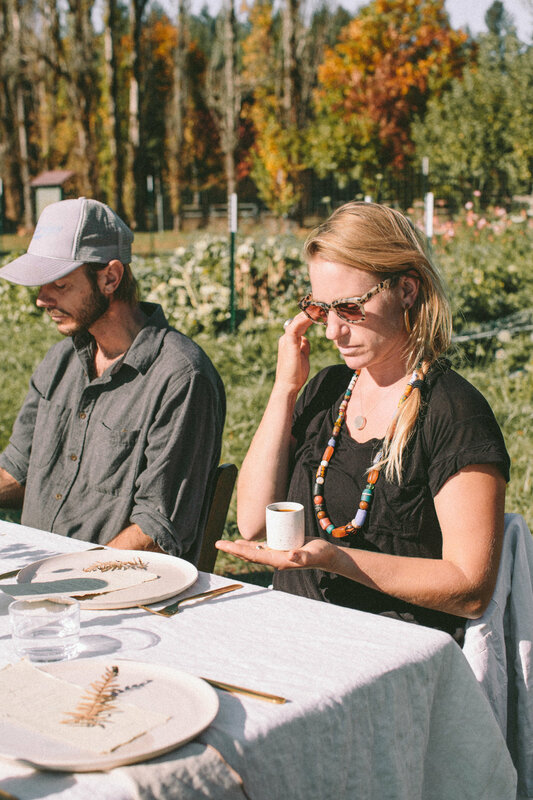 A beautiful, organic, seasonal meal curated & prepared by a chef on the farm over open-fire. A curated wellness bag filled with gifts from local artisans to continue your seasonal journey. If you are local to PDX or traveling from out of state we would love to help make the trip easier for you! Looking-Glass House & Farm is located only 45 minutes from downtown Portland, OR. Let us know if you need help finding a ride to the farm. We are happy to hook you up with a fellow attendee making the trip. If you are traveling from out of state we recommend staying in Forest Grove, or any of the surrounding towns. There are many more options in the area, these are just a few. Feel free to reach out with any questions or concerns before booking! COZY UP AND ENJOY THE COOL AIR, NATURE SOUNDS, AND A DELICIOUS, WINTER-INSPIRED, MEAL ON THE FARM. TOGETHER WE’LL LEARN HOW TO BE PRESENT AND AWARE IN OUR ENVIRONMENT AS IT INFORMS US THROUGH THE SEASON OF WINTER. This winter workshop is a day to unplug & realize our connection to nature. We will refresh our minds & bodies, shake the winter-time-blues, & enter the new year with a new sense of acceptance & connectedness. Winter can be a challenging time as the weather shifts and we find ourselves looking inward. This workshop will acknowledge nature’s winter themes, while providing tools for a healthy season & perspective shift. 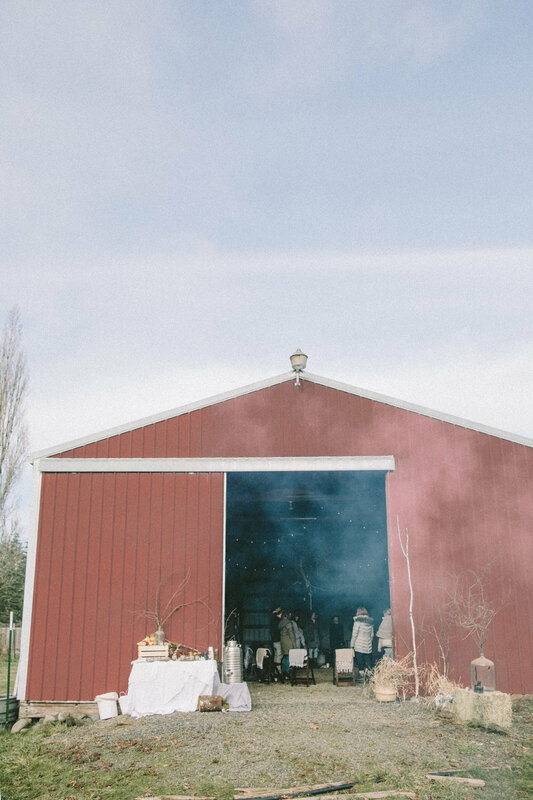 Discover what it feels like to be on a serene, intentional, farm – with animals and good company – in the cool, winter air. 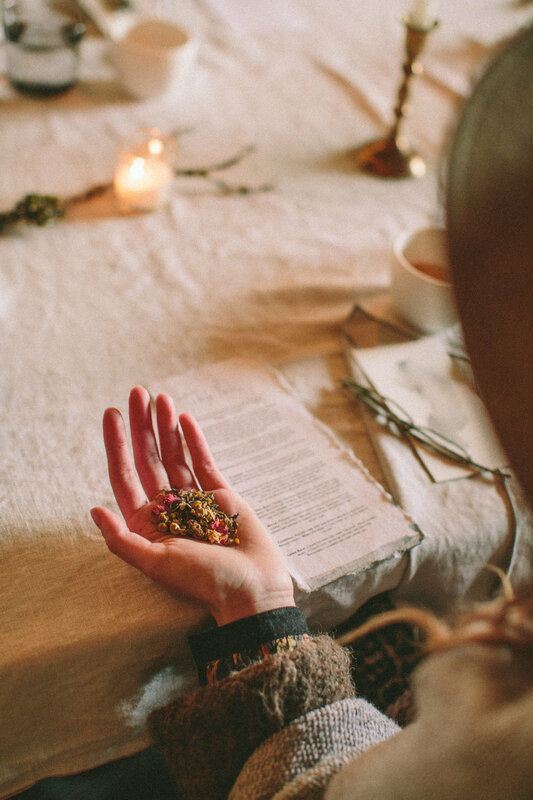 Experience an authentic tea tasting, & a delicious, seasonal meal –prepared in the earth with intention and the heat of a live-fire. We are your holistic facilitators, here to support you, but also to explore with you. We will look to the animals as our guides. We believe that being present is a practice of intention. We have beautifully curated every detail of this day to bring you back to a feeling of renewal, and a sense of coming home. 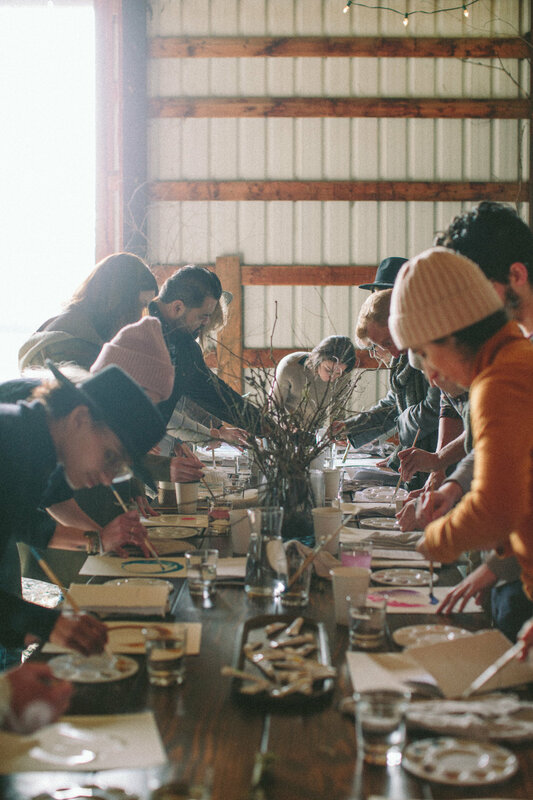 SEE ALL THE PHOTOS FROM OUR FALL WORKSHOP HERE ON OUR BLOG . 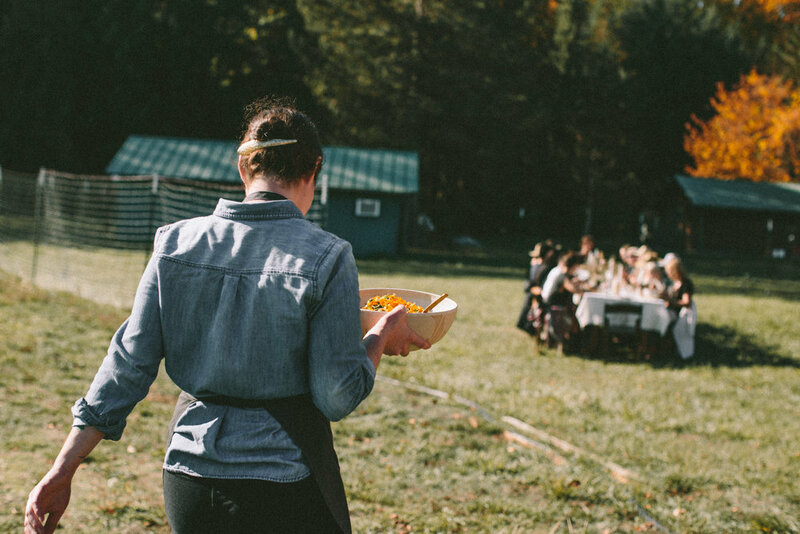 COZY UP AND ENJOY THE CRISP AIR, NATURE SOUNDS, AND A DELICIOUS, FALL-INSPIRED, FAMILY STYLE MEAL ON THE FARM. TOGETHER WE’LL LEARN HOW TO BE PRESENT AND AWARE IN OUR ENVIRONMENT AS IT INFORMS US THROUGH THE SEASONS. According to a BBC Earth article, an analysis found that people with a stronger connection to nature experienced more life satisfaction and positive affect. Our connection to nature plays an important role in who we are. We are nature. However, many of us live lifestyles that inevitably create a feeling of separateness. Nature becomes something we must look to experience outside of ourselves and our daily schedules. 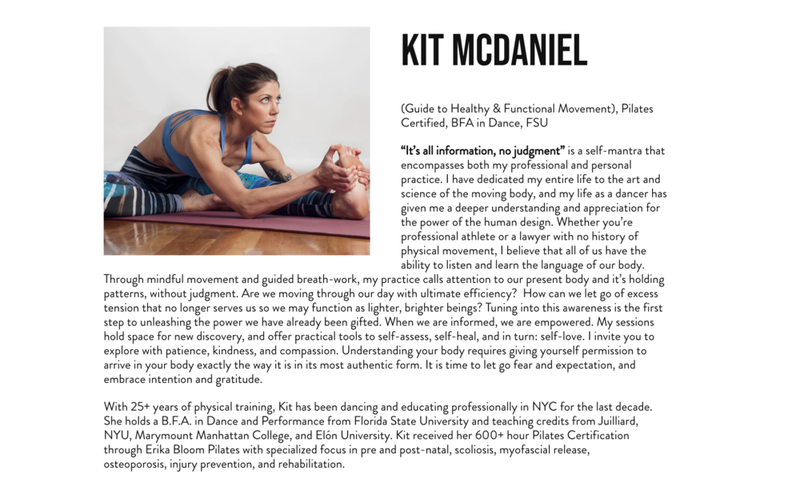 This workshop is a day to totally unwind, unplug, and realize your connection to nature once more. We’ve created this series based around the seasons— because seasons are the way in which the earth informs us about life’s necessary cycles. 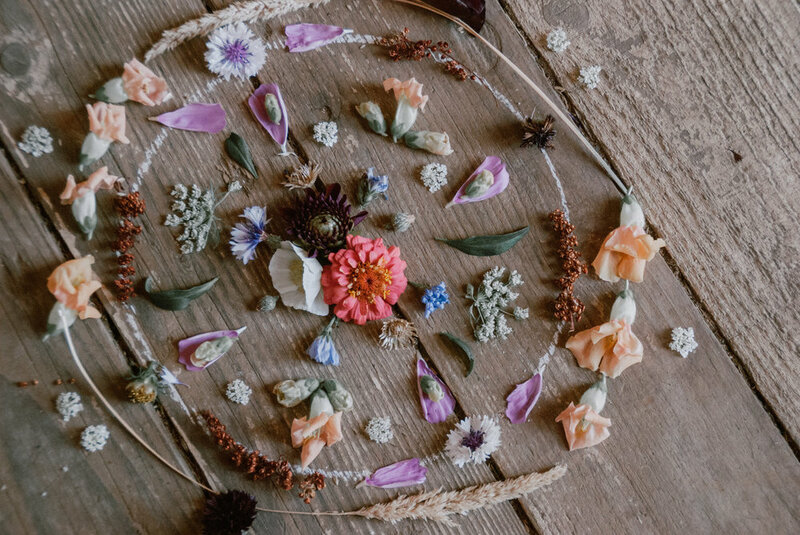 This FALL workshop is centered around what nature teaches us in autumn: slow down, detox, let go, & self- reflect. 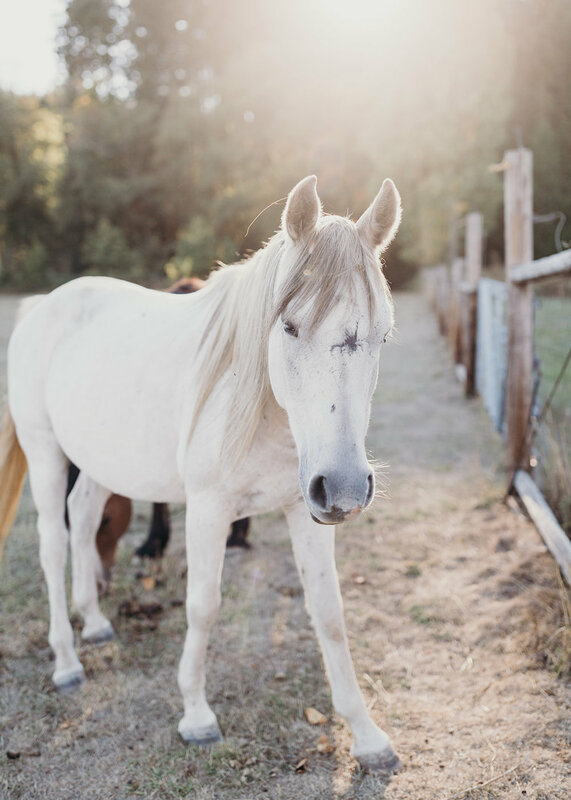 What does it feel like to be on a serene, intentional, farm – with animals and good company – in the crisp, autumn air? 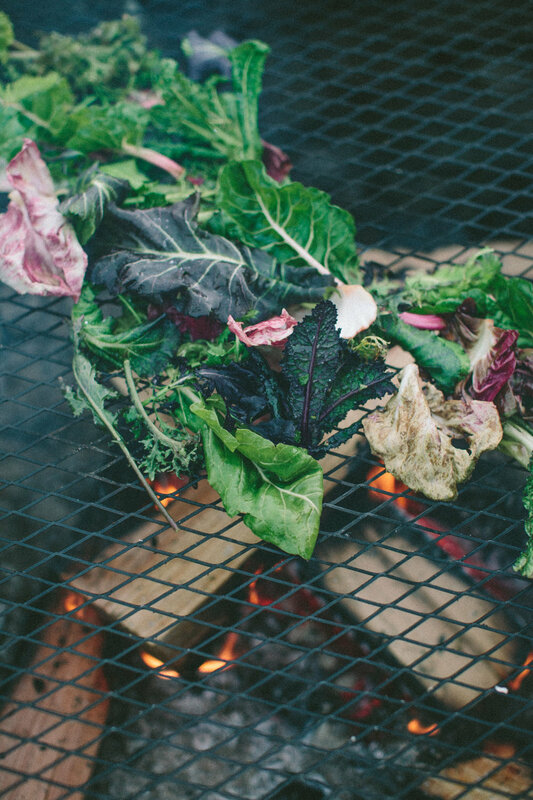 Imagine us gathering around a delicious, seasonal meal –prepared in the earth with intention and the heat of a live-fire. We are your holistic guides, here to support you, but also to explore with you, this season of brewing energy within. We will look to the animals as our guides. We will discuss essential oils, grounding & clearing, breath & awareness, and communicating to our bodies what it desires most from nature’s wisdom. 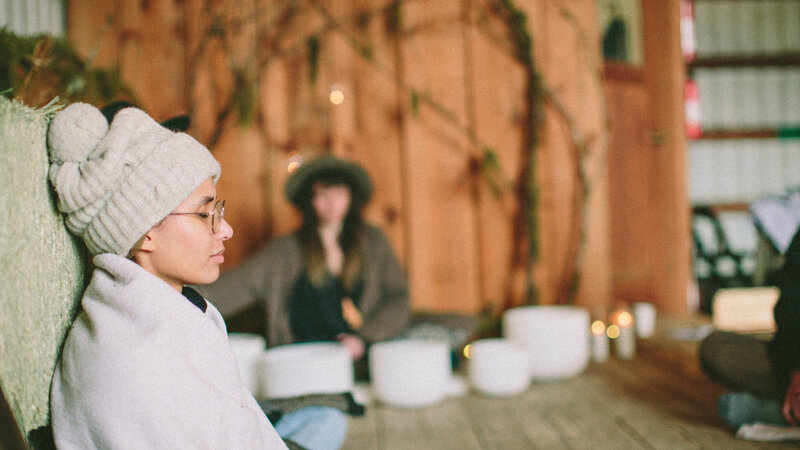 We believe that being present is a practice of intention. We are fully committed to that intention. We have beautifully curated every detail of this day to bring you back to a feeling of renewal, and a sense of coming home.